With more and more people struggling to fall asleep and stay asleep, perpetual tiredness and its fair friend ‘tired but wired’ are very common complaints. While sleep medications may offer short term relief, they don’t solve the problem, as very often falling asleep, staying asleep and enjoying replenishing sleep are linked with our perceptions of safety which are more enduring than a few nights’ supply of pills and potions. Sleep disturbances are a common byproduct of being alive. From an evolutionary point of view, it makes sense that we would want to be awake and alert if there is the possibility of imminent danger. However, the types of threat many of us tend to face on an ongoing basis are not life and death situations, even if they feel like that in the middle of the night. We have a slight misalignment between biology and reality that trips us up and which requires conscious readjustment. Usually the initial cause of sleep problems gives way pretty quickly to a more persistent worry about sleep itself, which then becomes a preoccupation during our waking hours and fuels our insomnia. It makes sense that the more we worry about sleeping, the less we are likely to sleep. Sleep is not a project within our control – we cannot make it happen, we have to allow it to happen – thus worry, distress and rigid control are counter to the sleep mechanism and perpetuate the hypervigilant brain-under-threat. There are many approaches to tackling problems with sleeping but by far the most successful (and arguably humane) helps a person to change his/her relationship with sleep and sleeplessness, so that it is no longer a fraught battleground. The other top tip that helps to take the pressure off sleep is to bolster the other things in our lives that give us energy and help us to feel replenished. For example, we can increase our intake of water to assist the body, we can partake in regular exercise (even a brisk walk does wonders), we can reduce caffeine, particularly after lunch, ensure we eat regular healthy meals that balance out the blood sugar, and find ways to meditate. Studies show that meditation not only turns down the volume of the threat-brain, but also gives us some of the benefits of deep sleep. Most, importantly, we need to stop constructing our lives around the sleep/wake issue and carry on with our lives even if we feel the discomfort of tiredness. We need to stop the fight and preoccupation with sleep. Reduce alcohol consumption. While alcohol may help us to fall asleep easily, it actually leads to early wakings and other sleep disturbances. On a fundamental level, we might need to to look at why we don’t feel safe enough or trusting enough to allow ourselves to let go into sleep. Is our fear of failure and perfectionism getting in the way? Do we struggle to put in the boundaries that we need? Is there something we might need to change or let go of in our lives? Not all sleep problems require this level of examination, but sometimes we might need to look at the bigger issues keeping us awake. 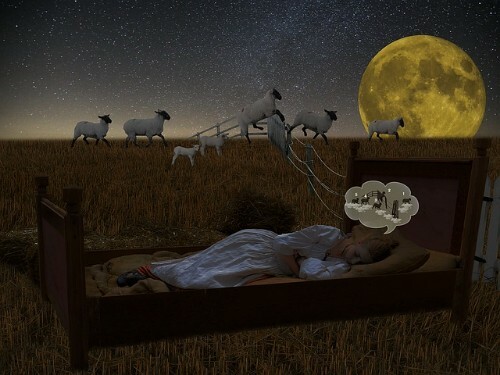 Psychological interventions can help both to reframe danger, and minimize the thinking and behavioural patterns that maintain insomnia and also to examine the deeper issues that might be keeping us awake.